The Czech Republic, which has considerably increased its political and economic cooperation with China since 2014, has been shaken by uncertainty surrounding the Chinese energy giant CEFC China Energy. The large Chinese conglomerate had promised to invest tens of billions in the country. After a press release emerged that the CEO of CEFC, Ye Jianming, was arrested in China, Czech President Milos Zeman sent two officials to find out the situation of one of his closest advisors. Czech officials discovered that Ye was taken for internal investigation for members of the Chinese Communist Party (CCP). 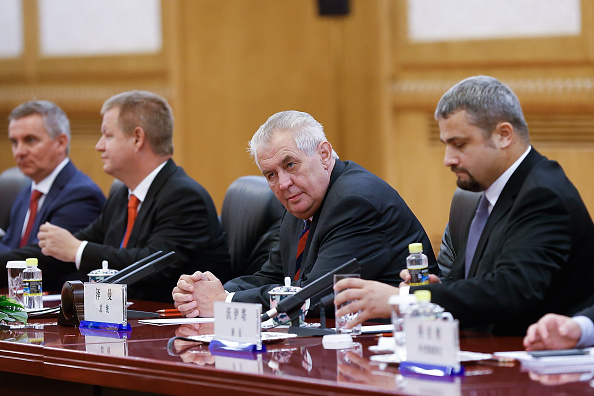 Ye became an economic advisor to Zeman in 2015, after which Czech-China relations have taken off and the CEFC began investing heavily in the Czech Republic. According to recent reports, Ye was charged with economic crimes in China. Chinese authorities have confirmed his arrest, which reportedly occurred in mid-February 2018. 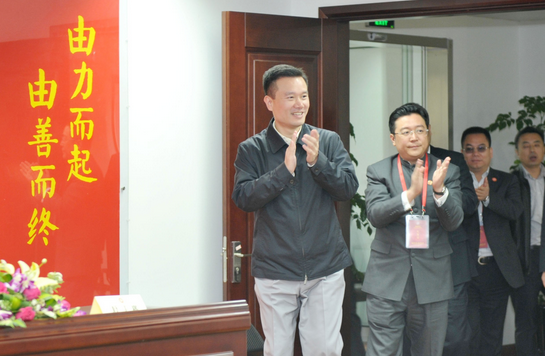 The young Ye Tieming (L) controls Chinese energy giant CEFC corporation. The company’s CEO, Chan Chaoduo, enters the hall. CEFC chose the Czech Republic as a launching pad for its economic activity in Europe and bought a stake in several companies including a football club, real estate, and a media company. But despite the promise of giant investments, the CEFC has gradually collapsed in the Czech Republic. “The problems of the Chinese CEFC have caused the collapse of several talks about the company’s large investments in the Czech Republic,” reported the Czech business daily E15. “Already in March 2018, the group announced that it would not increase its stake in the J&T Finance Group. Other businesses, such as Nova TV or several lucrative Prague properties, were canceled. It was an investment for billions of crowns,” the report read. The CEFC head became a controversial person in the Czech Republic after the Czech secret service, BIS, reported a suspicion that its top government leaders had been influenced by CCP interests. Prominent China experts have also warned that the CEFC has strong ties with the Chinese regime, and that Ye may be acting on behalf of the CCP’s intelligence arms. The Financial Times said that in September 2017, it was revealed that Ye had a close relationship with the CCP’s military intelligence, according to Ihned.cz. The CEFC’s reputation was also damaged by a bribery scandal that was exposed last November, when Hong Kong businessman Patrick Ho Chi Ping was arrested in New York City. 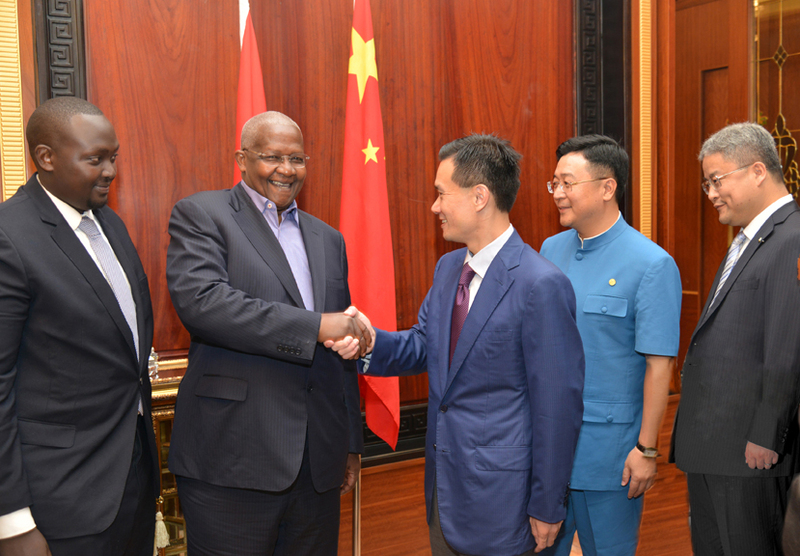 The U.S. Justice Department alleged that Ho had bribed government officials in Chad and Uganda in order to secure business advantages for an unnamed Shanghai-based energy company that was later revealed to be CEFC. The investigative report, published in the Czech publication Magazín Reportér, reveals the background behind the CEFC’s rocket rise and the machinations that helped it create big profits on paper, despite no money actually flowing through the company. The article titled “Mr Ye’s Mysteries” has further undermined the confidence of Chinese investors. Part of the Chinese parent company and its Czech branch, which was to be its gateway into Europe, will now be partially nationalized, according to Reporter magazine. According to Bloomberg, CEFC is about to sell its entire global real estate portfolio. According to Reuters in September, the company had global debts of several hundred billion crowns. CEFC also made a huge loan from the J&T banking group in the Czech Republic, said Czech Radio. J&T has frozen all of the properties purchased by CEFC in the Czech Republic as a guarantee for the repayment of the loan.